Maintain a good relationship, as much as you can. Kids of all ages need to know that Mom and Dad love them unconditionally. Take an active interest in the things that interest them, have conversations over family meals, and spend time with them. Set boundaries. Obviously. Remember that until they are adults, you are the adult in charge. Coach them in wise decision-making, and ease them towards independence. Teach them life skills, and let them take age-appropriate responsibility. By the time they graduate, they should be able to run a simple household, and be trustworthy workers and citizens that understand that the world doesn't revolve around them. Train them up in the way they should go (Proverbs 22:6). Lead them constantly to God and to his word. Live out your faith and encourage your children to own faith for themselves, rather than ride on yours. Pray for them. If you're homeschooling, remember that your goal is far more than just academics. Reading, writing, and arithmetic are only part of a bigger picture as we raise up a godly generation of healthy, mature, responsible adults. Teaching them to honor God, to maintain positive relationships, and to be able to lead and influence with integrity are the ultimate goals. Make worthwhile memories. When you're delighting in your family and building relationship with your children, those day-to-day experiences will become a tapestry of good memories. It's surprising what little things make huge impressions, and some of those you just can't plan! But definitely go ahead and do plan the special occasions that add richness to the memories, and think about what you want your kids to remember about growing up in your house. Be intentional about giving your whole family many positive things to build memories on. make your relationship with your husband your high priority - the highest after your relationship with the Lord. You'll still be with your spouse after the kids have graduated and moved out, so don't neglect that relationship. take time for yourself. It's okay to take time out to do the things YOU enjoy doing, and to rest and recharge. Think ahead to what you might want to do with your time when you're not homeschooling full time. Maybe you'll want to stay connected somehow to the career you were in before kids so you can return to it. Maybe you'll want to develop new skills for a different career. Maybe there are volunteer opportunities you could be involved with. Find time to pursue your own personal interests and passions. Let me leave you with some words from the Apostle Paul, who knew a thing or two about working whole-heartedly at the today's tasks while keeping his long-term vision in sight. Kym will soon be starting her 19th year of homeschooling her four kids, three of whom have graduated. She and her husband of 29 years are Canadians transplanted to Maryland. Kym loves coffee, history, and homeschooling, and you can join her for coffee break at her blog, Homeschool Coffee Break. 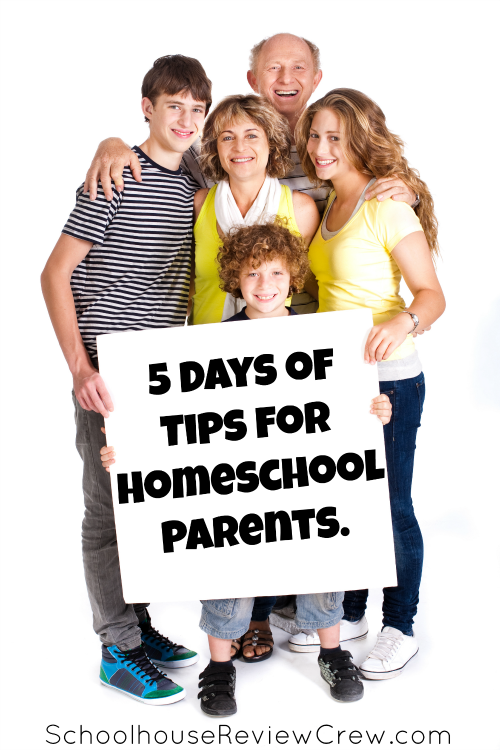 Over this coming week, the Crew from the TOS Review board will be doing a blog hop about Tips for Homeschool Parents. I thought it might be fun to participate. I, unlike some others, really have no clue what I will write about from day to day, but that's part of the fun right? Today I thought I'd talk about Family. About how important the family as a unit is to homeschooling well. They come in all shapes and sizes. Big, small, loud, quiet, busy, sedate, of faith, not of faith. All shapes, all styles, all types. It's a goodly thing eh? My family is hubby, wife, child. My family is mom, dad(now deceased) and six children.. boys and girls.. now with respective spouses and their offspring. My now family is quiet, stay at home, relaxed, faith believing folk. We like being together... reading, watching TV, doing animation, hikes, camping and such like. This life suits as well. One of the things I love about my husbands' job (he's a pastor) is his ability to take his job on the road. So we can go on field trips and as long as he has a pen and paper, or his laptop he can still do sermon prep AND come with us as we experience new things, learning and growing as a family. It's a good example to my son, to see his father enjoying these excursions as well, to see the importance his dad puts on spending time with family. I know that not all families have this luxury. Many families have "on the job" requirements. Fields to work, papers to write, business to conduct, power lines to repair and what not. Every job is different with it's own needs. I know that we've had times when we wanted Dad to come with us but he needed to do a hospital call or a funeral visitation and such like. It's part of the job. In situations like that though, Dad takes the time to ask us, so how was the trip, what did you like, what did you see etc. He shows an active interest. It's so important you know? For both parents to be interested in what the child(ren) are learning and doing. It shows the importance of it all. In what other ways are families important with homeschooling? 1. As a support for each other - if one parent doesn't get something, perhaps the other might. Or a way to weigh one curriculum against another etc. 3. To spell each other off. Or to tag team events. To be the watch guard if one parent needs to take a break from the work of schooling and life. 4. To help with the clean up, to turn drudgery into family laughter and communication. 5. To learn how to show love for each other... it's the first place it all starts you know? Others will be signing into private schools, charter schools, online schools etc. Still others will be crowding around a kitchen table asking their mom what they'll be doing today. These children, like mine, are schooled at home. Just as I am eclectic in my approach to schooling there are a many different ways that children can be educated at home. HOW will you educate your children at home? WHO will do the educating? Will mom or dad be the primary educator? Often this is mom as Dad will hold down a full time job, but I've seen parents share the duty and even know of a fellow who is the primary educator. Will you hire a tutor? Do you need someone to teach a subject in a different manner to help your child understand the subject matter? Will you become part of a larger group and school via the computer and classes through an over arching institution? Parents role is merely to ensure their students complete the work requirements asked for. How will this look in your home? How will you pay for your curriculum? Do the free route? There is LOTS of free stuff available for schooling your children. Some places to start are Ambleside, Easy Peasy, and many others. If you browse through the links I have on various pages you'll find tons of freebies. Find creative ways to get good curriculum more cheaply or free. (for instance I do curriculum reviews). Curriculum isn't cheap. How have you figured your way through the finances? How will you set up your day? Month? Year? 9-3 like a typical school? Sept-June? Splitting up your day... a bit in the morning, bit in the evening depending on teacher availability? year round varying the intensity depending on time of year and subject? In the afternoon/evening to accommodate the night owls in your family? something completely unique to your family? When do you figure your school time in? 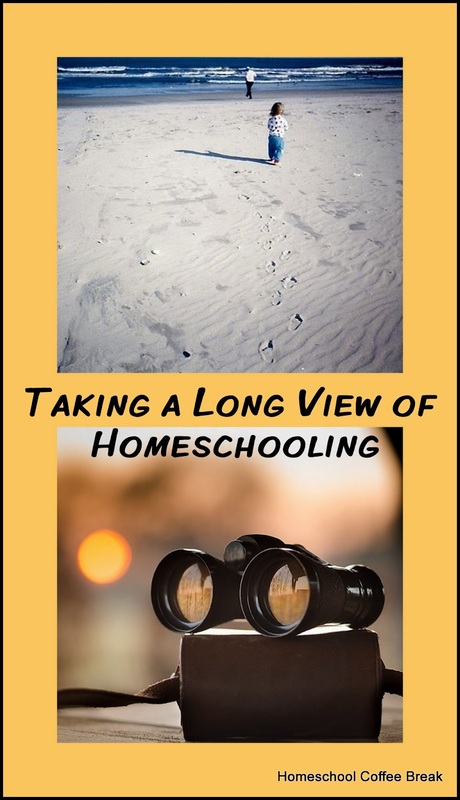 What type of homeschooling will you do? Will you choose a method and stick to it? Will you pick and choose from a variety of methods and weave your way through the various curriculums? Will you ignore the methods and just let your children learn as they will, just providing lots of opportunities and then following their interests as they learn their way through life? Will you try different methods until you figure out what works best regardless of the philosophical views of the material at hand? What is your primary method of schooling? Where will you "Do" school? yet more will find themselves inside and outside and all around the house? Where do YOU do school? I'd love to hear. Keeping sane during back to homeschool days. Day One. This is the time of year when people start looking at children getting back into doing school. Have to admit, it does start to pressure up to "DO MORE" but as someone who mostly homeschools year round (just changes up the focus a bit) I don't like having that external pressure being added. So many expectations that everything is planned out, that all curriculum is paid for and purchased, that children have all their school supplies and all that "stuff". I don't like that pressure and it can make me feel nutty in my head. Thank goodness I have this fellow in my corner. This fellow that I married some 13 years ago, father of our lad, strong introvert, stable, quiet fellow. This fellow keeps me sane. He knows me well enough to know when I'm getting nutty in my head and simply asks "what's up?". Clarifying for me what's going on in my head when I might not the knowledge to figure out until he simply asks. Then he simply walks me through what's going on so that I stop being nutty in my head about the external pressures that are going on. So what kind of things get me going? 1. BUY THIS it's the best ______ ever! 2. Get this freebie...get it NOW.. get it today. You'll regret it if you don't! 3. Use this planner! Seriously.. it will solve all your problems. 4. Don't forget to add this to your new year..if you don't you won't have a well-rounded student. 5. Squeeze this event into your summer cause you won't have time once school starts!!! and more... all the pressure to do this and that....can make a body feel like failure if they listen to it all...and sometimes it gets to me. There are times when I wonder if I am the only one who gets this way. I assume that I am not as God's word tells me that there is nothing new under the sun. NOTHING. My fellow helps get my head thinking and then I am to process what all is going on in my head and heart, able to talk to God about what is going on, and then (and only then) free to figure out if I truly do need something or if it's just the hype of everything getting to me. It helps too that I homeschool year round, we do maintain a lighter schedule in the summer, but we keep things going. So I don't have to give into some of the pressure that I end up feeling. How do you work around the hype of back to school season? Does it ever get to you at all? If so, what tricks do YOU use to keep yourself sane? Monique @ Living Life and Learning. i want and need to make some changes in how I teach and raise my boy. I love him. He's a joy and light in my life. The thing I want for him most is to love God with his whole being. And I am concerned that if I don't make some changes now, while he is still growing and learning, that he won't love God with his whole being when he matures. I think he gets some of who God is. But I think there is so much more he could be learning. I want to give him more of me, of my relationship with God, more of what that MEANS to have God taking care of you. Today I had the beginning of a root canal happen. it was NOT fun. I had infection in there yet that was expected to be gone, but it wasn't which (as the dentist explained) was why some of my other teeth were sore...they were throwing off the extra pain. The dentist put in lots of anesthetic which helped but didn't get rid of all the discomfort. When I thought I was going to lose it for a bit over the radio came a song that I just really like. And you know.... I could lean on God. So I did. Anyways, our family tends to be a quieter one, we don't always say what we think and feel and what affects us. The lad and I can be noisy and talkative, hubby dear is much quieter and often has need for silence (or at least us not talking). :) So we've learned to curb our talkativeness a bit. :) (or at least we try). But talking about the awesomeness of God is not usually a topic brought up, so I want to change that. I want to show my lad how one can lean on God. That God knows us full well and knows how to and WANTS to watch over us close. To that end I want to make some changes in how I do school. I want to be more deliberate about making sure my boy knows the bible stories and that we have a chance to just talk about them. I want to memorize the word with him. We started this week. Just an easy story about Noah and flood. We'll be writing out our memory verses and together we'll learn them. I'll be doing mine colour coded to help with memory, my boy has yet to see the value in that. :) He's younger too though. :) And then throughout the week we'll talk about it. He's a typical kid right? Why do you think God found favour with Noah? His basic response was "God granting grace to Noah because he's a good person". But that's not why... God saw Noah and he saws Noah's love for him. Noah...out of all those people on the world LOVED God. God bestowed grace on him and saved him. It was good to see the look in my son's eye... to understand a bit more about the grace of God and how hard it would have been to see friends and neighbours die. To work for years and years dealing with ridicule because of one's love and obedience to God. My son will need that knowledge and I want to help him seek it. Oh I must mentioned my delight in my lad's writing here... it's not in all capitals! :) We are working on handwriting and cursive and he's starting to see the variation in spelling helps you read what is written and really isn't harder than writing all capitals. :) (It's been a while convincing him of that). Is there anything you see as important in the training of YOUR child(ren)? How are meeting that goal? My son the other day gave me a revelation about how he sees homeschooling. He's fairly determined kind a child so I don't think I can change his mind. This is how he sees homeschooling. This other stuff that we do is not homeschooling. It's just fun with maybe a bit of learning thrown in. So I asked him, why do you think we do the other stuff? "Because mom, you decide we aren't doing homeschooling today and because you want me to have fun too". Do you think perhaps I need to give him worksheets to fill out when we go on field trips or do fun stuff like build catapults? So tell me something. How do your children view their schooling?